Recent additions to the roster have bolstered Bristol’s lineup, but it was Pittsfield’s offense that slugged its way to a 9-7 victory at Wahconah Park Wednesday night. Though Blues’ starter Nick Rascati allowed just two runs in his outing, the Suns peppered the basepaths all evening. Rascati was lifted with two outs in the third, surrendering his two runs on six hits and one walk in 2 ⅔ innings. Reliever Kyle Haag was able to wiggle out of a bases loaded jam in that third frame, but he found no such success in the fifth. After a Patrick Sullivan triple extended Pittsfield’s lead to 3-1, an Ivan Nunez two-run homer capped off the rally, giving the Suns a 5-1 lead. A couple of Bristol errors in the seventh gave Pittsfield some insurance runs, which would come back to bite the Blues. A booted ground ball from shortstop Ryan Lutz set the table for an RBI single by Pittsfield’s Dave Matthews. Nunez continued his hot night at the plate with a run-scoring double. He was then driven in by Brian McHale’s double, giving the Suns a commanding 8-2 lead. The Blues rallied in the ninth, looking to complete their largest comeback of the season. Trailing by seven in the top of the ninth, second baseman Andrew Hague led off the inning with a base hit. Alex Loparco was hit and Dylan Reynolds walked to load the bases for the meat of the Bristol lineup. After a Patrick Winkel flyout, the searing hot Justyn-Henry Malloy stepped to the plate. After falling behind 1-2 in the count, Malloy blasted a bases clearing double into the left-center field gap. The third baseman’s bases clearing triple, something Bristol fans should get accustomed to, cut the lead to four. Peyton Stephens continued his hot streak, following Malloy’s double with a two-bagger of his own, making the score 9-6. The RBI forced Pittsfield to sub in Mike Demarest in place of Bryan Cafaro on the bump. Matt Bonvicini joined the party with another double, and the seven run lead was whittled down to just two. But an Ethan Hunt strikeout and a Hague flyout thwarted any further comeback attempts, as the Suns prevailed 9-7. Malloy finished his night with two hits, three RBI, and a run scored. Stephens one-upped him in the hit category, finishing 3-5 with two runs scored and an RBI. Bonvicini finished 2-4 with an RBI. Malloy seems to have introduced a symbiotic relationship between the three since he has arrived in Bristol. Since his first start on June 17th, Malloy is batting .375 with five RBI and four runs scored. Stephens is hitting .416 with three RBI and seven runs scored. Bonvicini is hitting .461 with six RBI and two runs scored. Malloy has produced a trickle down effect for this offense, and everyone seems to be benefitting. Ryan Lutz also registered a two hit night. Bristol drops to 13-7, 1.5 games back of first place. 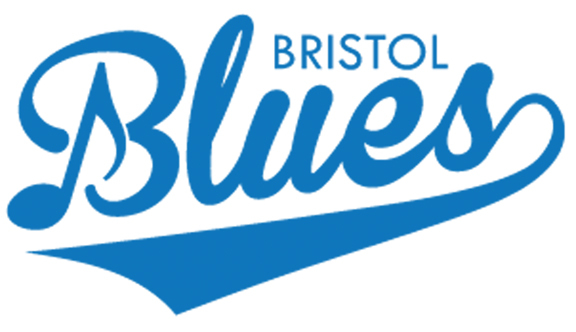 The Blues return to Muzzy Field on Thursday night to take on the Brockton Rox. First pitch is set for 7 p.m.